The legal battle over who can transport recreational marijuana to Nevada’s cannabis shops continues. 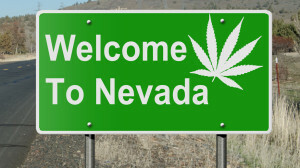 Earlier last week, the Nevada Supreme Court issued a temporary injunction against the state’s newfound marijuana market; the state Department of Taxation is now unable to license marijuana businesses as distributors. A request by the Tax Department for the temporary injunction sought by alcohol distributors was denied by the Supreme Court. The court also rejected the Independent Alcohol Distributors of Nevada’s request to dismiss the case. So, the big question remains: will other businesses have just as much right to transport recreational weed to retail facilities as the alcohol trade? The Nevada Supreme Court has placed this hold on distribution until it can hear oral argument from both sides. This hearing to settle who is allowed to distribute recreational cannabis is scheduled for the beginning of October 3 at Boyd School of Law at UNLV. This legal battle has been going on since June – when liquor distributors sued to stop the licensing of marijuana companies to do their own distribution – and neither group is showing signs of giving an inch. This issue has already had negative effects on the marijuana merchants and the market as a whole. With all the legal snags, the state’s overall cannabis supply has suffered. So much so that Governor Brian Sandoval issued a Statement of Emergency over the summer to try and boost distribution of recreational marijuana to avoid people resorting to the black market. Another huge issue merchants and medical marijuana businesses experience is finding payment processing solutions. Marijuana merchants in need of business funding and payment processing can find fast solutions with alternative lenders like Marijuana Merchant Account (MMA). Specializing in this industry, MMA can provide funds in as little as 24 hours. The “high risk” nature of the industry is not a problem. The expectation is that this legal battle will be resolved by the end of this year, which will hopefully improve the atmosphere for all parties involved – including marijuana merchants. This entry was posted in Uncategorized and tagged Marijuana Distribution, Marijuana Distribution Battle, Marijuana Merchant, Medical Marijuana, merchants and medical marijuana, Nevada Marijuana, Nevada Marijuana Dispensary, Nevada Marijuana Payment Processing by admin. Bookmark the permalink.